La Dolce Vita Winery was established in 1994. They produce reds, whites and a blush wine using their own grapes as well as other Missouri grown grapes. Their tasting room is located in an historic building that was built in 1846, the Zachariah Foss House. 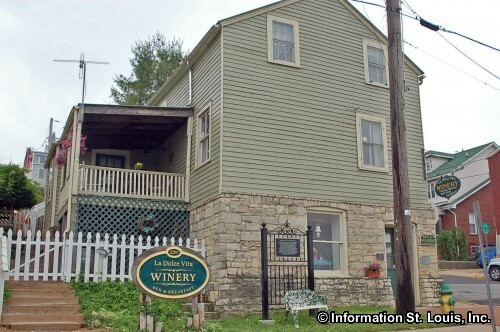 La Dolce Vita Winery also operates a restaurant and Bed and Breakfast at the same location. The winery is open Tuesday and Wednesday, 11am-3pm, Thursday through Saturday, 11am-9pm, and Sunday 12pm-6pm.